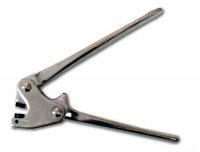 High chrome industrial sealing pliers. Here at Universal Meter Services we make sure we provide only the very best electric meters for sale in the industry and the UK, working hard to ensure that our prices are the very best on the market. There are different types of Electricity Meters (such as smart or secondary or coin or card) which are used in order to measure and monitor the amount of electricity and energy which is being used in a home, business, or any sort of electrical device and are especially popular for landlords. Getting the right meter can save you alot of money on electricity bills its worth getting the right meter and we are more than happy to help you choose. We have all of the leading brand names in the market and can program most meters to our customers choice of display and setting on most models. 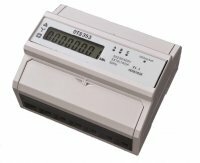 Landis and gyr,Iskra,Elster and Emlite are just a few of our brands of electricity and total generation meters in both single phase and three phase models and also payment meters and smart. The laws around electric meters have certainly gone through a lot of changes in the last year even some of the big utility companies such as npower,eon,edf and many others are struggling to keep up with the changes to the laws when customers need advice on the correct meters to be used in the new areas of wind and solar as alot are private fittings but still need to follow the correct guidelines on meters for claiming money back,this has also caused some problems with original utility board meters as they can be set up to add the import to the export energy a problem that was not fore seen in the past as being a problem as it stopped people trying to fiddle thier electric and put the meter on in reverse,this unfortunatly is no good if your exporting electric to the grid,we know most meters that do this and can advise on what you need to not have this problem.